After nine weeks of waiting, hoping, praying, I can honestly say hope is fragile. I waver from hope to worry like a child on a see-saw. A facebook post that shakes my certainty. A blog post that reminds me of others’ experience in the system, losing everything they hoped for in the ninth hour – wondering if their story will be mine. Another foster parent letting their little one go back to a home that they can only hope will love and protect them as much as they deserve and in the way we would our own. After one year, two years, pouring out love and investing in a child only to see them move back and know that our role is to celebrate but deep down the pain is real, there is a loss. I didn’t enter this world blindly, but I couldn’t have imagined the messiness of it all. I couldn’t fathom our story looking as it does and hoping for a forever I never dreamed of. When it feels as though everything is shaken, I am reminded of the one who loves deeply – the one who loves through me; the one who sees me with tears in my eyes and knows what it feels like to give up a child. The ONE who asked HIS son to carry my weight of sin. I remember that he loves these girls more than I do. He loves me more than I can understand. No matter how our story unfolds, He will never forsake me. I think deep down, I find myself trying to protect God from my own disappointment. If I’m really honest, when I consider what scares me most, it’s the idea of pain so deep that I can’t find God. I can get lost in the “what ifs” but those aren’t my biggest fears… it’s wondering if in the darkest hour will I still see grace. Not in a system – but in a Savior. Not in a process – but in a promise. Not in my goodness – but in His goodness. When I determine to set my mind on the truth of who He is, my hope stands renewed. I can’t say I overflow, but I feel confident that even if the world falls apart I will not walk alone. In the midst of the waiting and uncertainty, we are seeing small victories. There have been decisions that have helped us move into stability and allowed the girls to settle a bit more. For this we are grateful. Some days I wonder how I got here. Life was easy before our first yes. My bubble was quite comfortable. But I can see how God’s pursuit of my heart through this adventure in fostering has brought me to a greater dependency on him and those around us. I will never be the same. I have a greater appreciation for the support and love of our friends and family. Everyone has stepped up in amazing ways. We have friends that aren’t even in the family way yet that have openly embraced these girls, played with them, loved them and adapted to what our new life looks like. It doesn’t just cost our comfort but it costs theirs. I used to have guest rooms – now I have guest couches… if even that! But friends still love us… even through crazy bedtime routines. They patiently wait for us to calm an anxious child, they offer choices and hugs to help them regulate… they love us well by loving them well. And their rewards come in hugs and kisses. Adorable love. That’s all we have. Thank you friends for loving us well. Thank you for standing in the gap and praying with us / for us. Please continue. 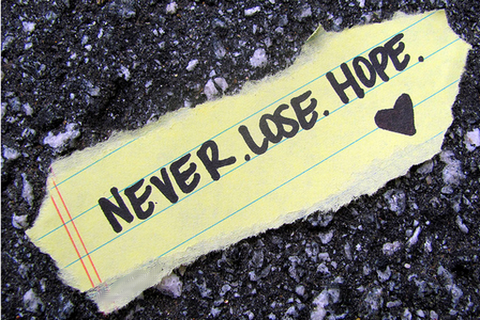 Some days we feel weary, but Lord willing, we will never lose hope.